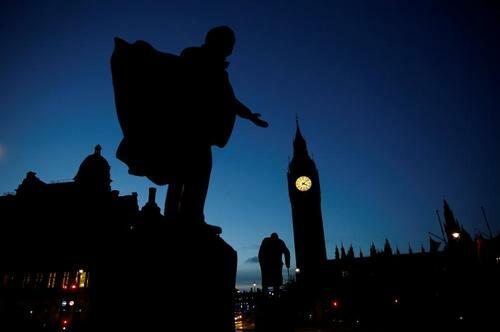 Reuters UKRating agency Moody's will assess the implication of Britain's election, which failed to provide a clear winner on Friday, casting the country's approach to Brexit and the future path of its economic policy into doubt. 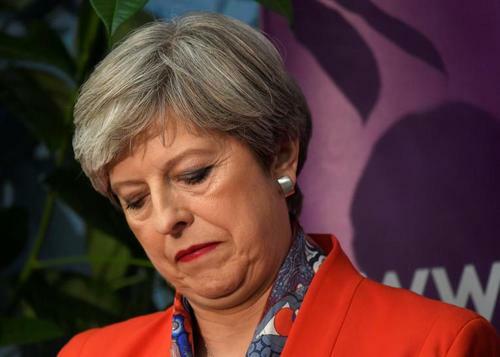 Reuters UKBritish voters dealt Prime Minister Theresa May a devastating blow in a snap election she had called to strengthen her hand in Brexit talks, wiping out her parliamentary majority and throwing the country into political turmoil on Friday. 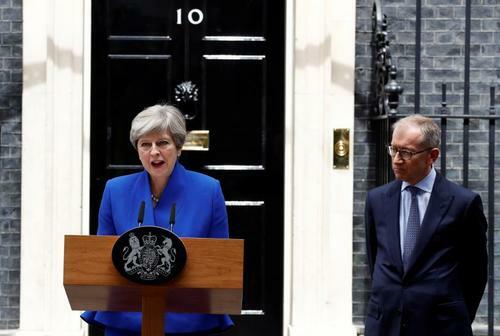 Reuters UKBritish Prime Minister Theresa May will ask Queen Elizabeth for permission to form a government on Friday after an election debacle that saw her Conservative Party lose its parliamentary majority days before talks on Britain's EU departure are due to begin. 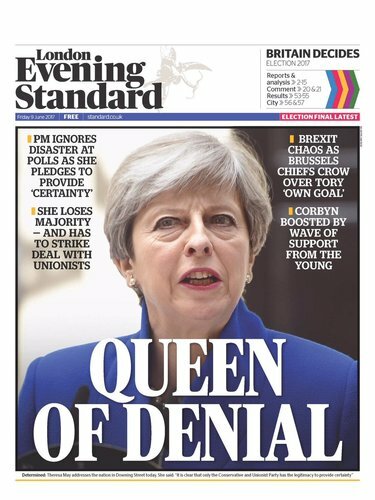 LIVE: Theresa May makes a statement following the election. 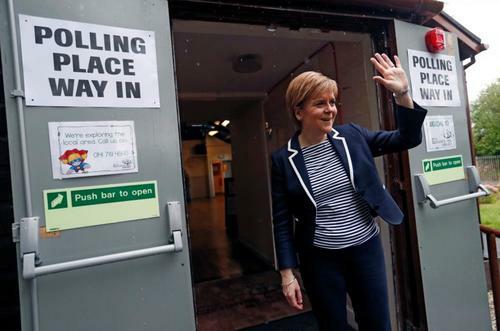 Reuters UKThe Scottish National Party will work to forge an alliance to keep Prime Minister Theresa May's Conservatives out of power after the inconclusive result to Britain's national election, First Minister Nicola Sturgeon said on Friday. 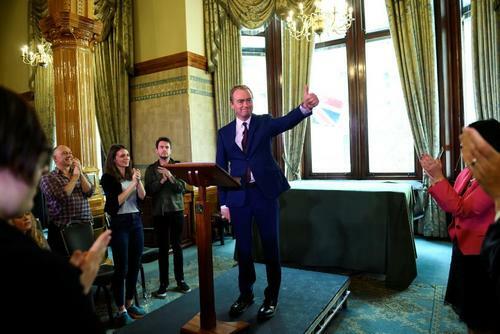 Reuters UKBritain's Liberal Democrats party will not form a coalition to prop up the government of Prime Minister Theresa May after she failed to win a parliamentary majority in an election, Liberal Democrat Tim Farron said on Friday. 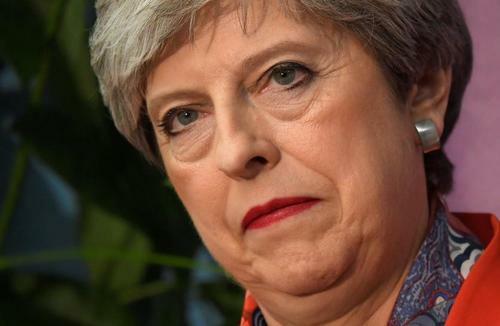 JUST IN: British PM May says "I will now form a government". 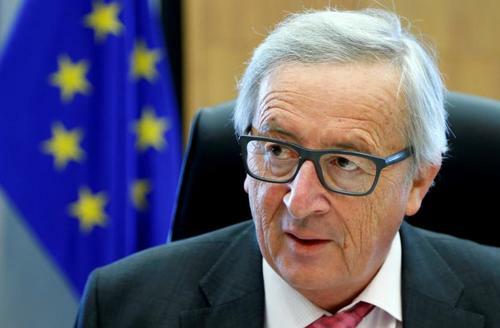 Reuters UKEuropean Commission President Jean-Claude Juncker said on Friday he hoped the result of Britain's elections would have "no major impact" on EU-UK divorce talks between the bloc and London, and advised London not to delay the start of negotiations. 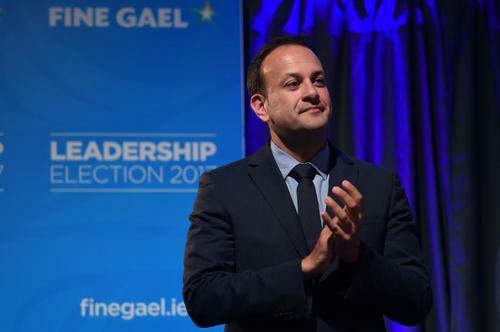 Reuters UKThe inconclusive outcome of Britain's election amounts to a rejection of a 'hard Brexit' and provides an opportunity for Ireland, Irish Prime Minister-designate Leo Varadkar said on Friday. 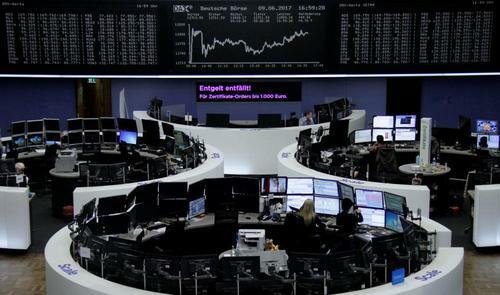 Reuters UKBritain's inconclusive election could delay negotiations with the European Union over its exit from the bloc and throws the future path of its economic policy into doubt, ratings firms said on Friday. 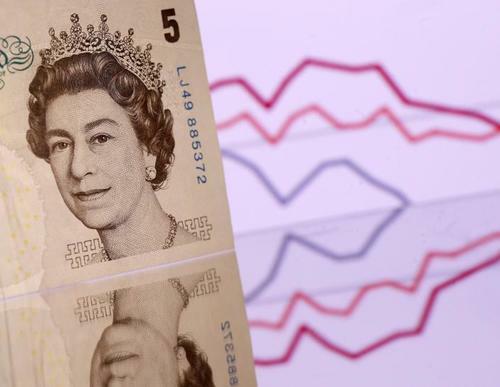 Reuters UKBritain's pound tumbled as much as 2.5 percent on Friday, lifting the country's main FTSE share index, following an election that denied any party a majority in parliament and fomented political chaos just days before Brexit talks begin. 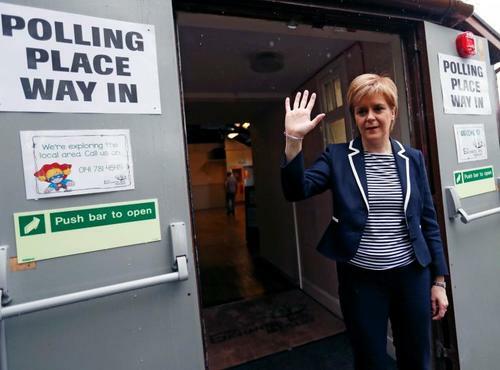 ReutersScottish secessionist dreams of a swift second independence referendum were dashed on Friday when they lost 21 of their 56 seats to parties that want to keep the United Kingdom intact. 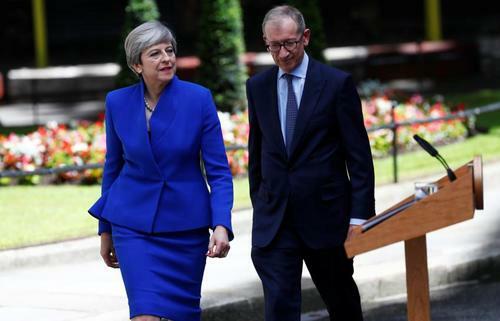 Reuters UKPrime Minister Theresa May said on Friday she would form a new government to provide certainty and lead Britain in talks with the European Union to secure a successful Brexit deal. 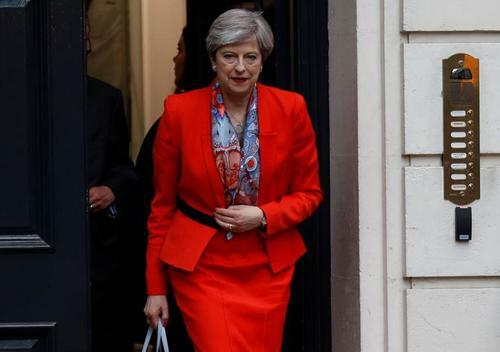 Reuters UKIt was never meant to be a high-stakes gamble for Britain's risk-averse prime minister, but Theresa May's attempt to strengthen her leadership by calling an early election has instead left her authority in tatters. 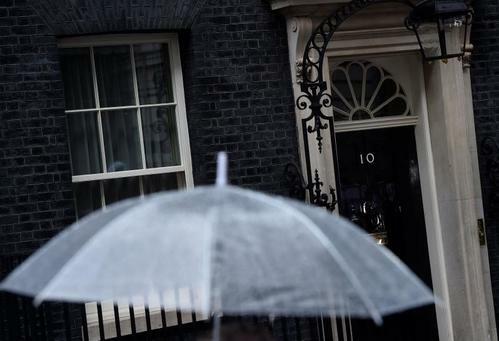 Reuters UKBritish Prime Minister Theresa May will form a government supported by a small Northern Irish party after her Conservative Party lost its parliamentary majority in an election debacle days before talks on Britain's EU departure are due to begin. Lloyds Banking Group's U.S.-listed shared down 2.2 percent in premarket trade following British election. @jeremycorbyn People in the U.K., the U.S. and elsewhere want governments that represent all the people, not just the 1%. @jeremycorbyn All over the world, people are rising up against austerity and massive levels of income and wealth inequality. I am delighted to see Labour do so well. I congratulate @jeremycorbyn for running a very effective campaign. 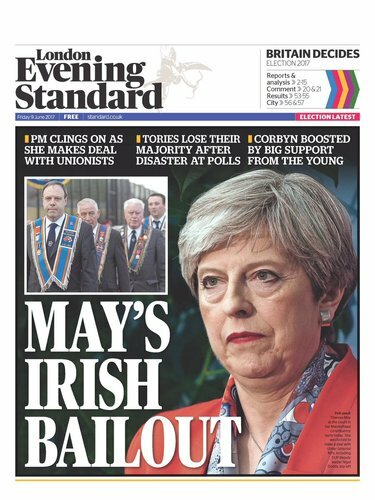 Reuters UKPrime Minister Theresa May's failed election gamble has cast a party in Northern Ireland in the role of kingmaker, giving the province an unexpected chance to have a big say in Britain's divorce from the European Union. 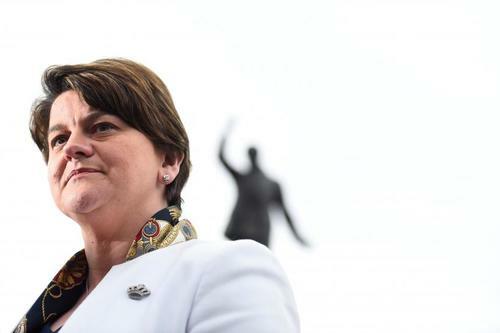 The UK's Democratic Unionist Party holds a news conference after PM Theresa May says she will govern with their support. 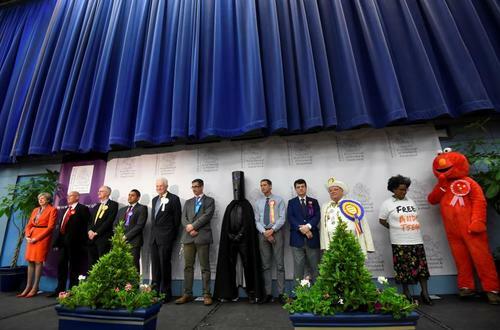 Reuters UKA surprise hung parliament, misfiring high fives and candidates in costume - Britain's general election night had it all. Pleased to be re-appointed so we can now get on and negotiate a Brexit deal that supports British jobs, business and prosperity. 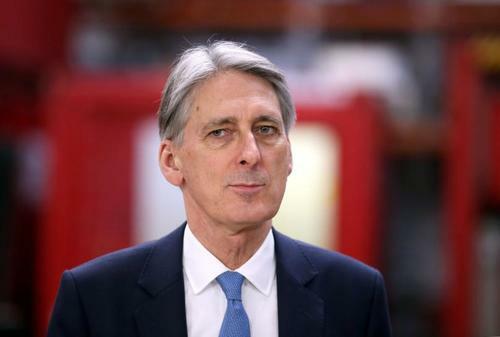 Reuters UKBritish Prime Minister Theresa May will keep Philip Hammond in his job as Chancellor, broadcaster BBC said on Friday as May assembled a ministerial team a day after she failed to win a parliamentary majority in an election.